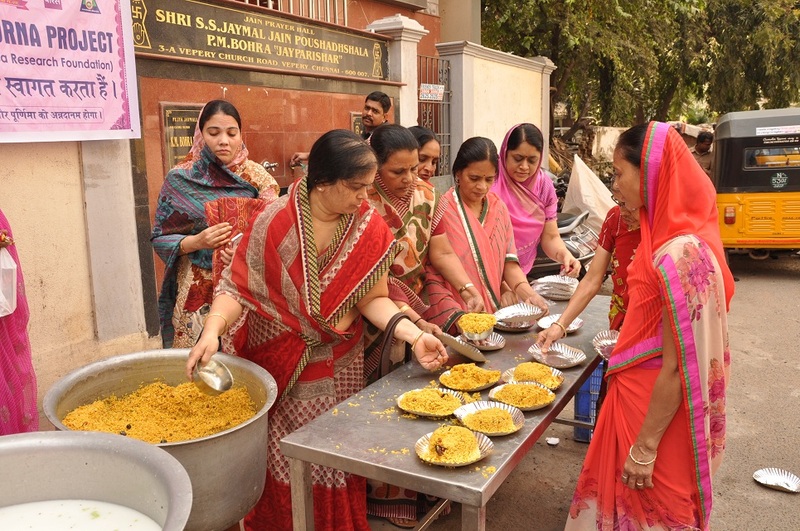 The three most important needs of a person is Food, cloth and shelter. A person cannot live without food for a long time but unfortunately there are many persons in the world who even don’t get food to eat. Keeping this situation in mind, J.P.P. jainannapoorna project was started in Chennai from January 2015. 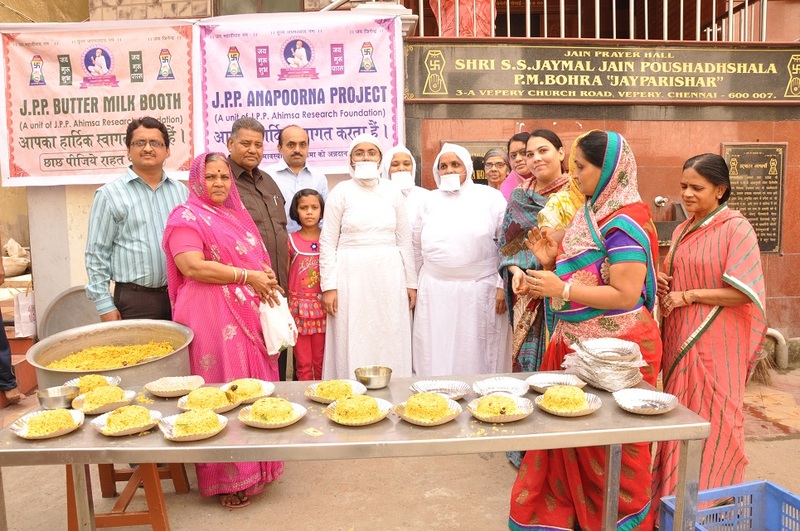 Food is given to more than 500 people every fortnight (Pournimaand amavasya) at shrijaymaljainpoushadshala.